COLUMBIA, Mo – University of Missouri officials will conduct a test of its emergency systems at 8:50 a.m., Friday, Sept. 26. 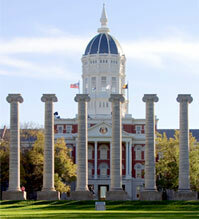 This test is part of MU’s ongoing commitment to the safety of its students, faculty, staff and visitors. Text message alerts to students, faculty and staff who have elected to receive warnings by text. A mass alert email to all university email accounts. Desktop notification to computer screens that have installed MU’s alert software. Messages posted to MU’s Facebook and Twitter accounts. An advisory notice on the MU Alert webpage. University officials also have been updating emergency evacuation plans for all buildings on campus. Each building has established evacuation procedures detailed in the building’s emergency action plan; each building coordinator updates those plans on a regular basis, Watring said. One section, Annex J, in the Emergency Operations Plan addresses evacuation and transportation.